This is a reblog of Brett Donald from the Global Leadership Summit, hosted by Willow Creek Community Church. Is it just me or is Bill Hybels seem like the John Wayne of Church Leadership? He has a dash of humor, a large dose of intensity, and a whole bunch of grit. Bill opened the Leadership Summit, teaching the first session, as he always does. He had everyone laughing at the start and then jumped into the Parable of the Sower (Luke 8), making the point that to see more growth we need to sow more seeds. For a summary, insights, thoughts on his 6×6 concept, and some quotes read on. 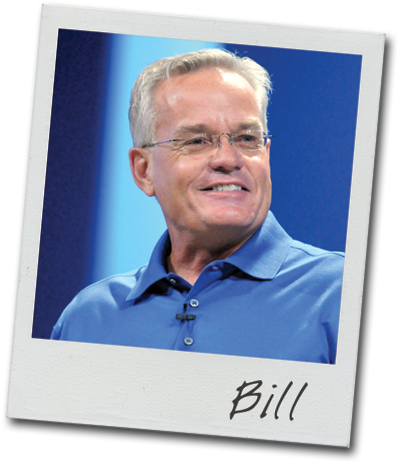 Bill Hybels is the founder of the Global Leadership Summit and pastor of Willow Creek Community Church, one of the most attended churches in North America. Some think of him as the ‘Yoda’ of church leadership. In the parable of the sower there is a 75% rejection rate of the seeds that are sown. This means that to see more growth we need to sow more seeds and overcome the rejection rate. What does that mean for you? Leaders need to lead the charge in sowing seeds, creating ideas, and energizing others. We need to improve so that more seeds are sown so that more growth occurs. Bill introduced his 6×6 concept. Look at your upcoming six weeks. Then pray and prioritize and choose your top six objectives. Focus. What would be the greatest half dozen contributions that you can make to your organization/church in the next six weeks? Be specific. The 6×6 objectives can be related but are in addition to the normal job duties. The leader’s best asset is their energy not their time. 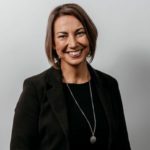 Their ability to energize their culture, new initiatives, and team members. What do you need to energize? Figure out the top six things that need energizing and energize them. This will change your leadership. Hybels gives communicators a great example of solid teaching and training. He starts with vulnerability and humor creating a connection. He boldly pointed to God to make it clear that this isn’t just leadership but leadership for God. He is intense and dives in to clear leadership training. He ends with vision and passion. He doesn’t conclude merely with principles but with passion to implore you to implement the principles. Website: trial different landing pages. Candidates to market: in recruitment we interview many candidates but only one gets placed in the role we are looking to fill. We also have a bunch of extremely placeable, excellent candidates. I am going to introduce them to other prospective employers. Develop marketing collateral: this is an easy to put off, but important task. Time to get it done. Develop six operating procedures for the business: I run a small business so it’s easy to work without procedures or instructions. Instead I often rely on my own expertise in my field. However, the business will never grow if I cannot impart this knowledge to others. This objective comes from Michael Gerber’s book “The E-Myth”. Seek out Registered Training Organisations (RTOs) for training opportunities in the New Year: I complete my CertIV in Training and Assessment at the end of the year and with my skills and experience I will be able to train in a number of Vocational Education and Training (VET) courses including Vocational Preparation, Business, HR and Customer Contact which I’m really looking forward to. Time to reach out to these institutions. Map out a Video Project Plan: I am looking to develop videos for training. Time to map out my options. All the above enthuse and excite me and I am keen to pick these low and higher hanging fruit. Over to you. What will your 6×6 be?